Comments: PLEASE READ!!! Has notes with pen and highlighting. All text perfectly readable. Back cover long bend and some wrinkles here and there. Good binding. PLEASE only purchase if this description is acceptable to you. 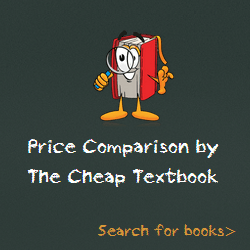 This entry was posted in Book and tagged 084003427X, 978-0840034274, 9780840034274, Education on January 20, 2015 by Textbooks.